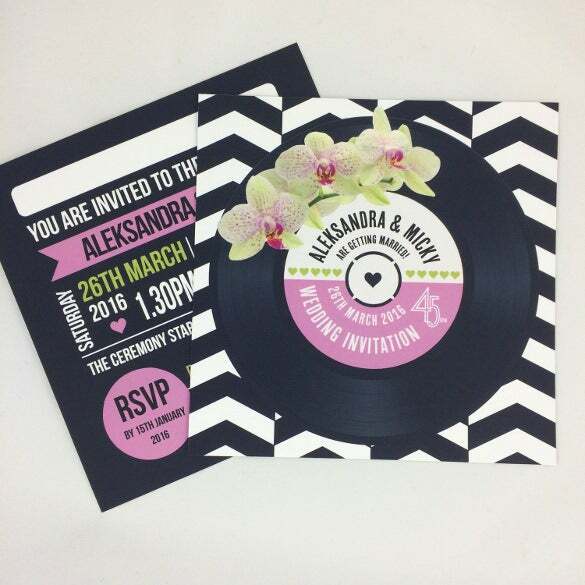 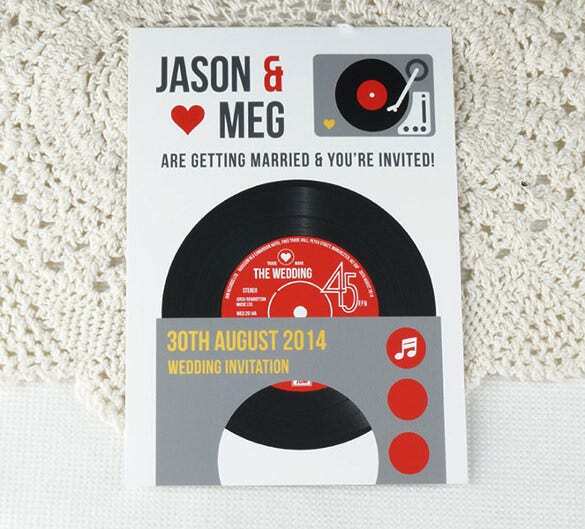 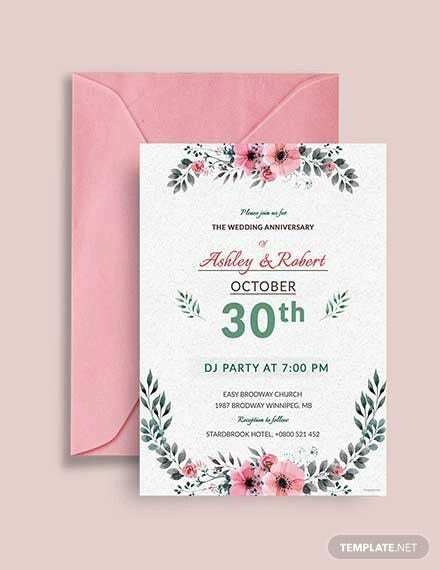 Party invitations are mostly like the reception kind of invitation templates which are quite simple and straight forward as compared to other wedding invitations. 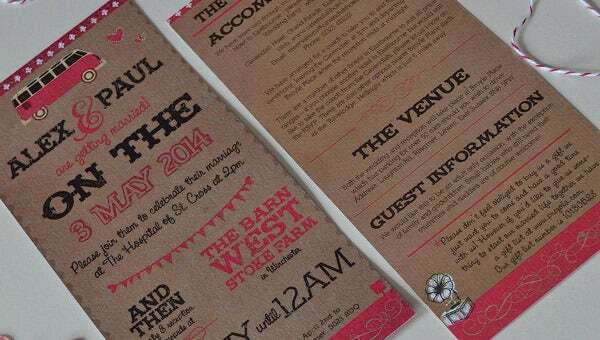 These wedding invitation templates do contain the venue details as well as the time & date as to when the guests should visit the occasions and grace their presence. 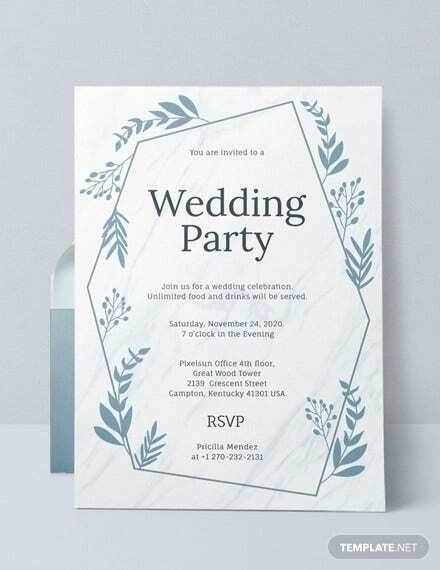 These are mostly created in the form of PSD, and are quite simplistic and generic as far as wedding parties are concerned. 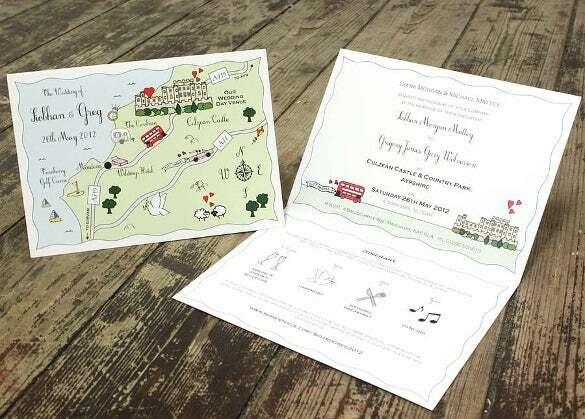 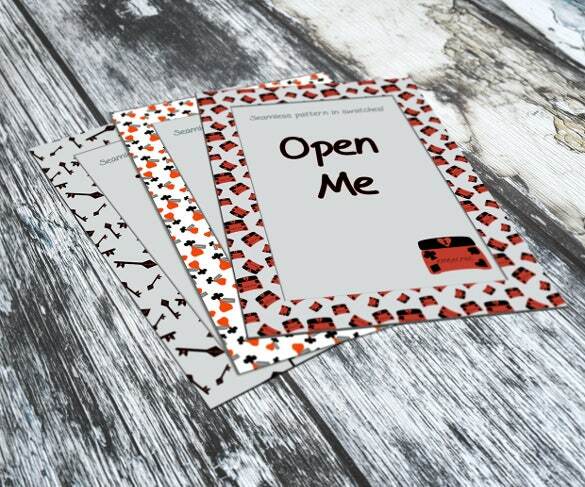 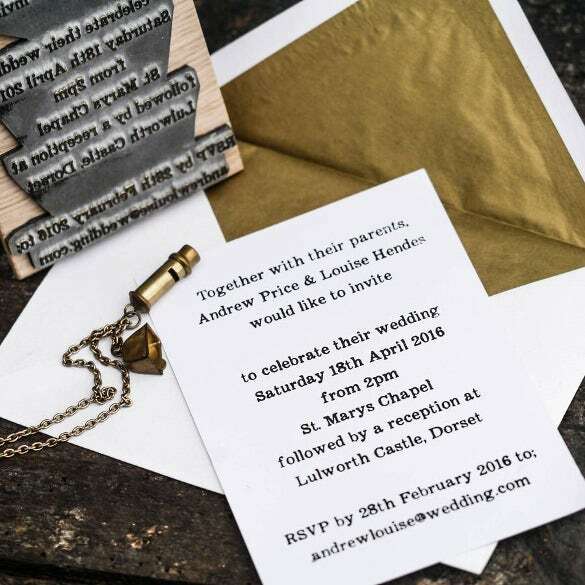 However, designers should take due notice of the way they convey the invitation to guests – senior guests’ name on the outer envelope and the junior guests and children’s name on the inner.You can also see wedding reception invitations. 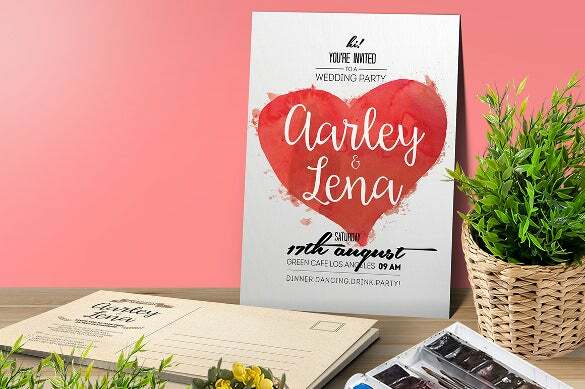 Make your wedding party invitation zesty with an array of colours using this watercolour wedding party invitation theme. 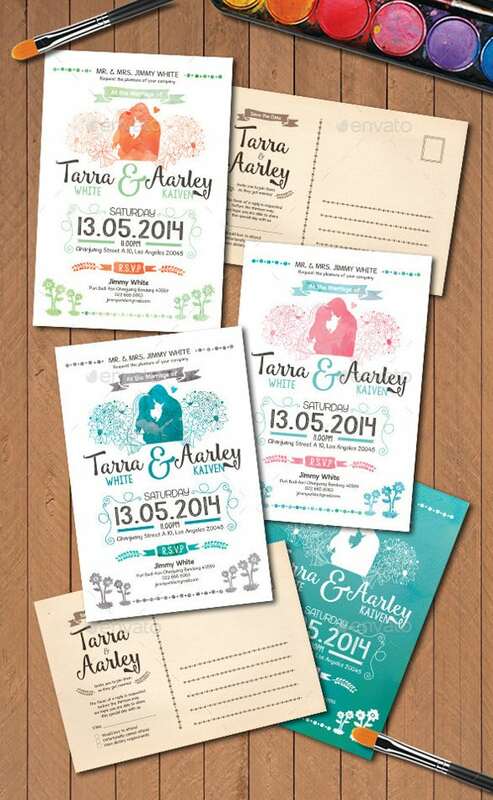 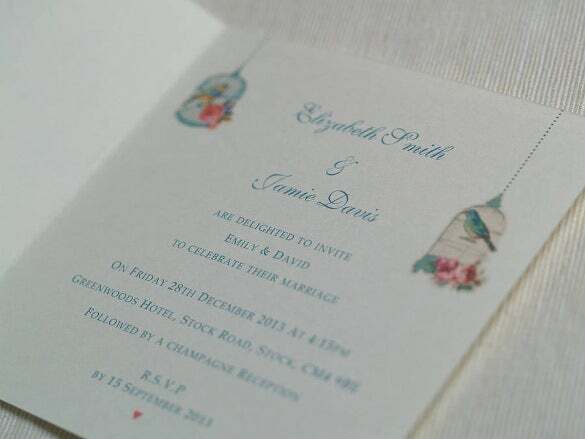 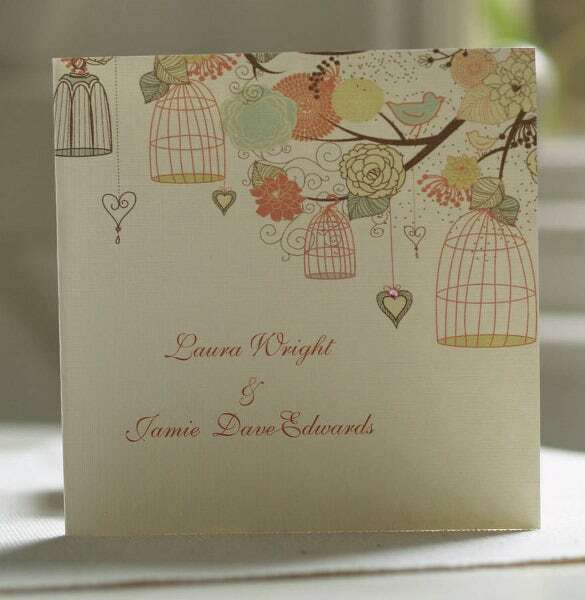 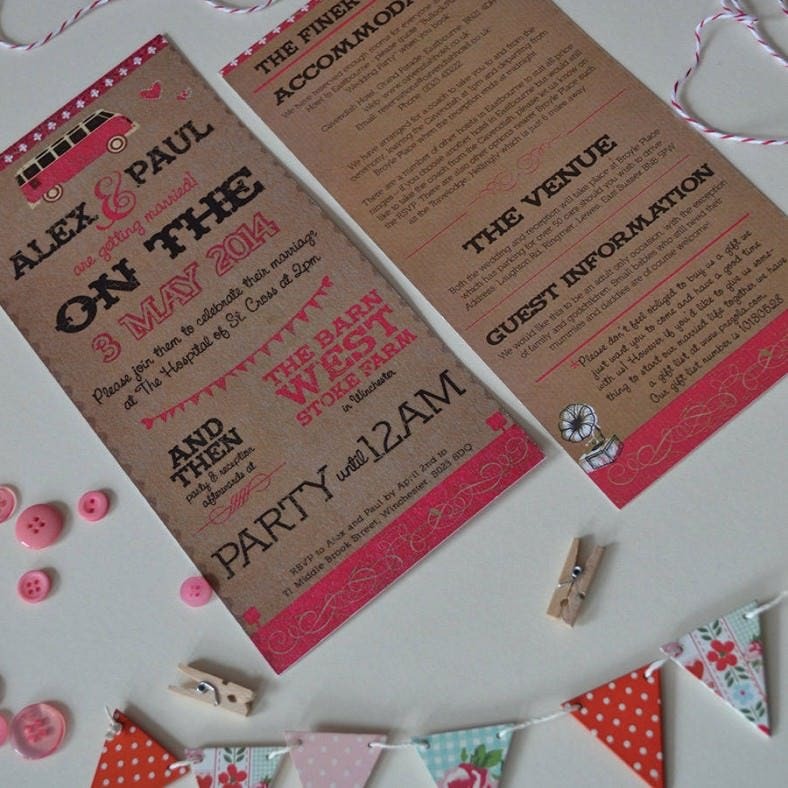 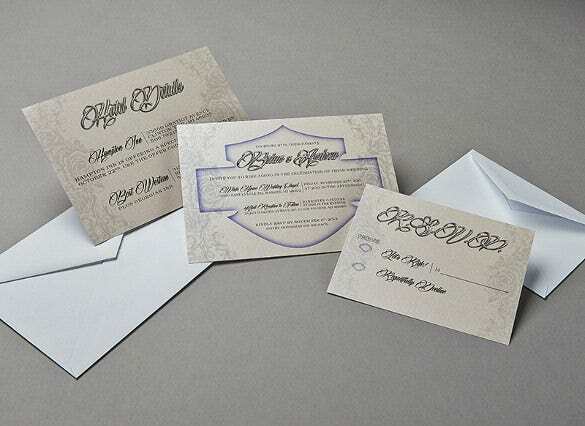 The invitation has a very informal look and therefore looks quite attractive. 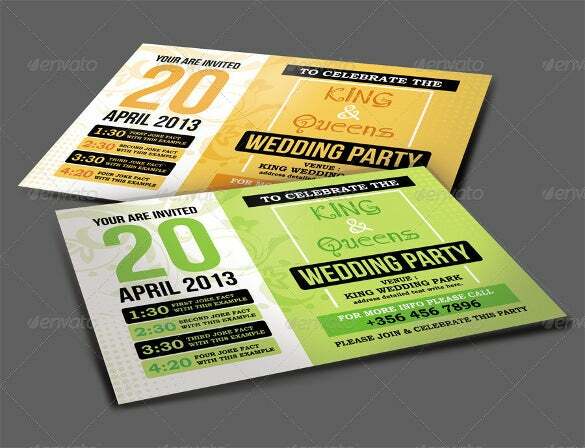 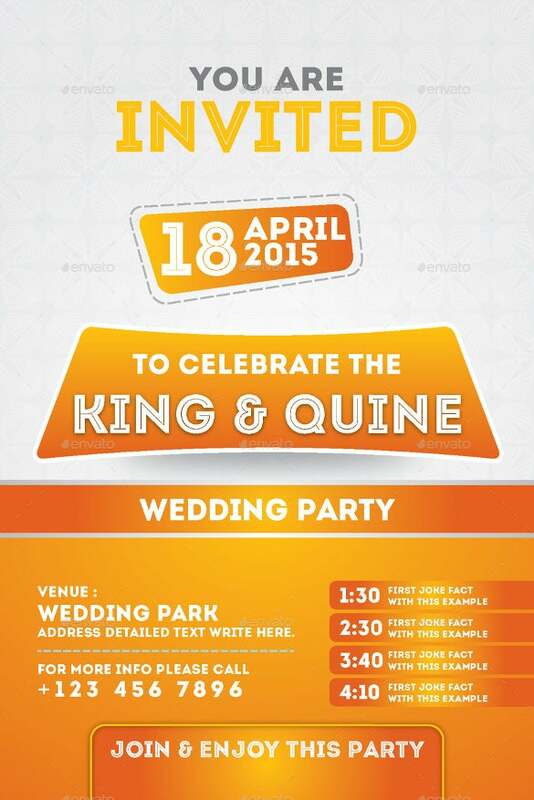 Make your wedding invitation card look attractive with the help of this velvet pattern wedding invitation template. 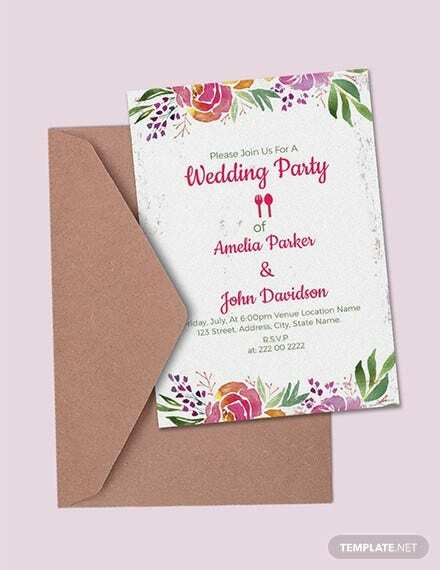 The design of this invitation is such that it looks elegant and charming in an elite way thus making your invitation as a whole look rich and classy. 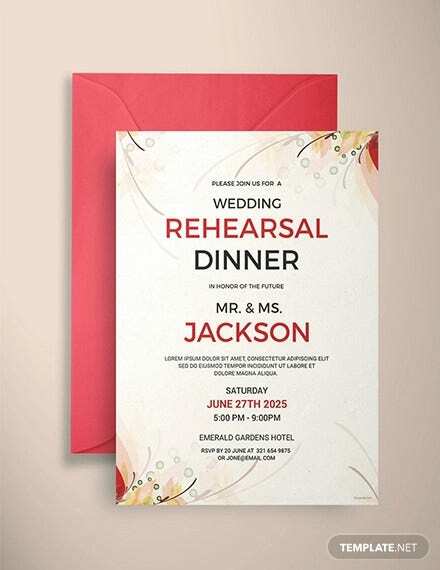 To invite your family and friends to your wedding which is all about love and the many vows of a married life as well as about togetherness, use this watercolour red heart wedding party invitation card that looks very adorable because of the big, red heart on it. 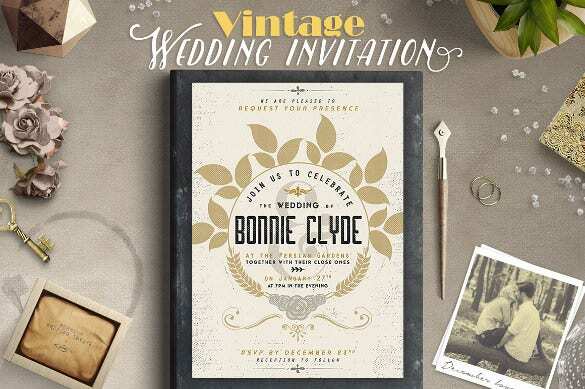 Keep your wedding invitation card simple yet substantial with the help of this vintage wedding party invitation card which is very subtle and has a tinge of richness about it. 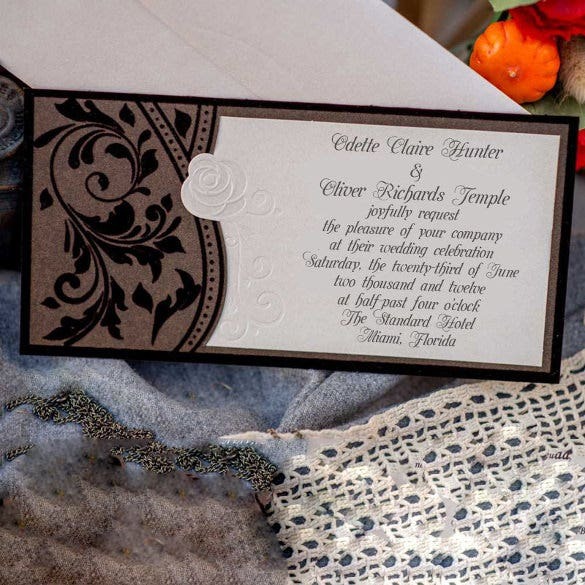 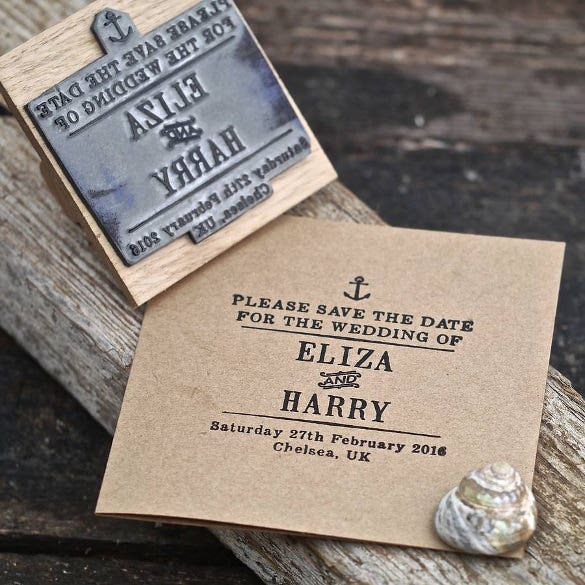 Add a rusty, beautiful charm to your wedding party invitation with the help of this beautiful wedding party invitation card that is tied together with a thin rope and looks excellent in its raw beauty. 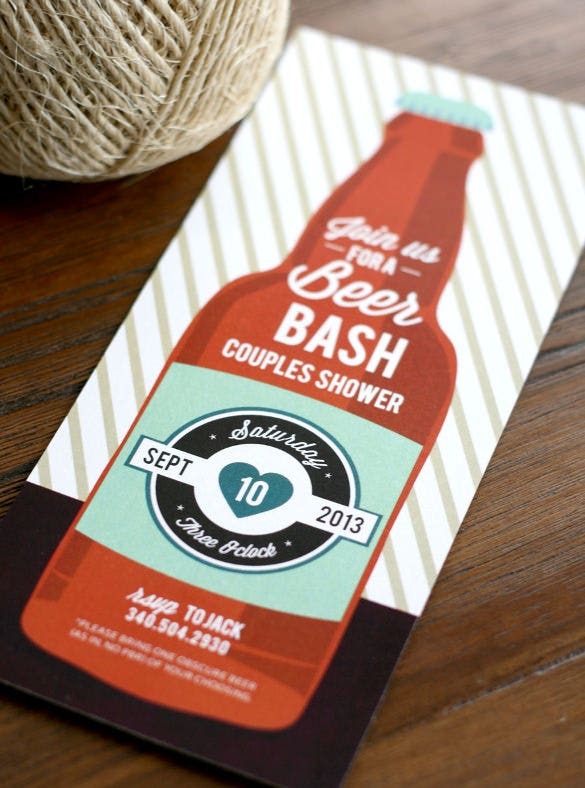 If your wedding party is going to have some amount of booze for the celebrations and if beer happens to be your favourite, state it subtly and in style with the help of this beer tasting wedding party invitation card. 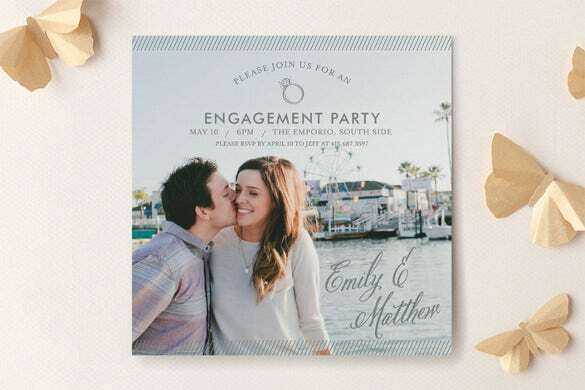 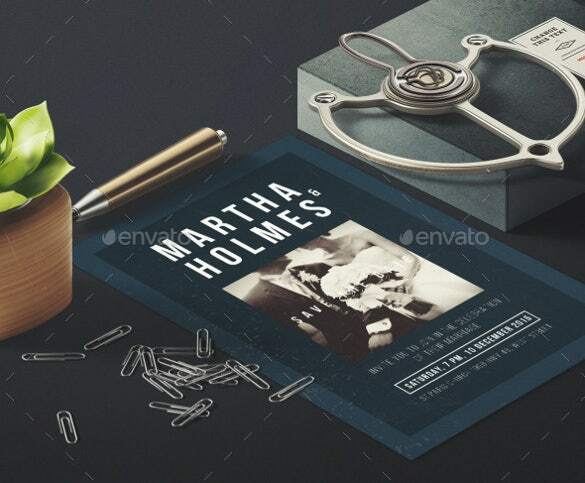 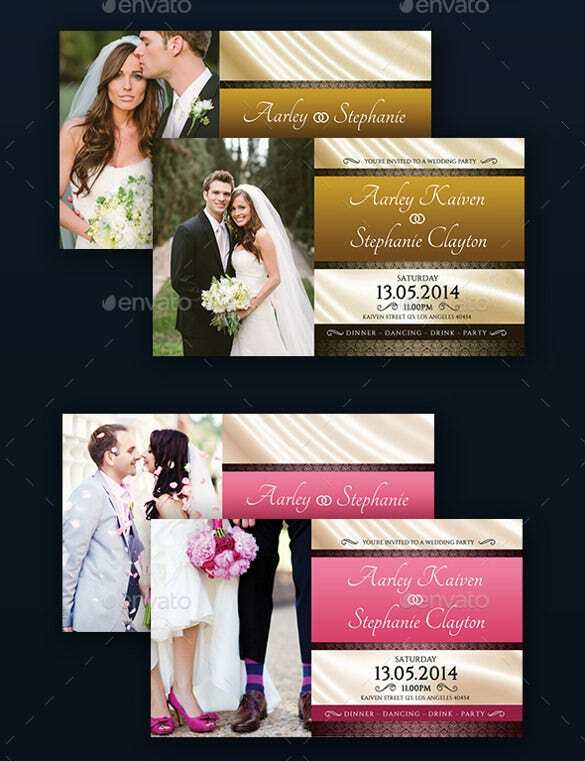 Make your wedding party invitation look grand and luxurious with the help of this beautiful wedding party invitation theme which has a hue of blue about it and provides you space to add your customized photos to it. 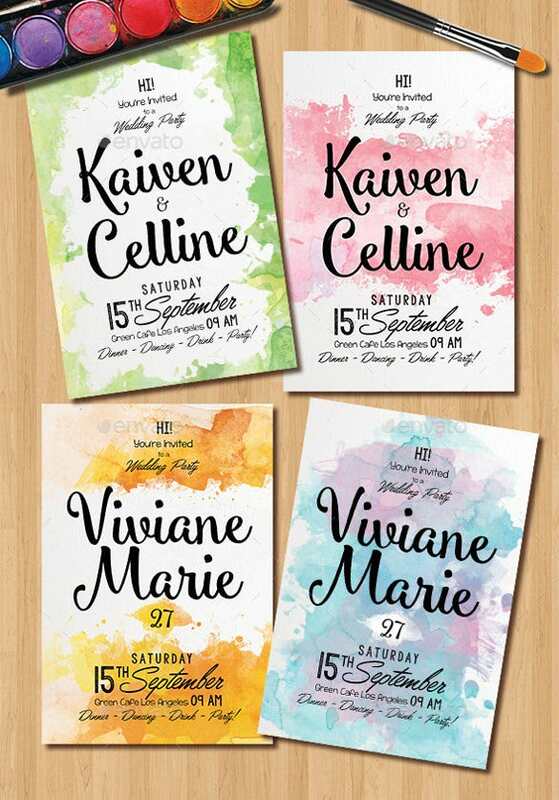 Make your wedding party merrier and brighter using this watercolour wedding party invitation theme which uses hues of colours and makes the invitation look indeed very pretty! 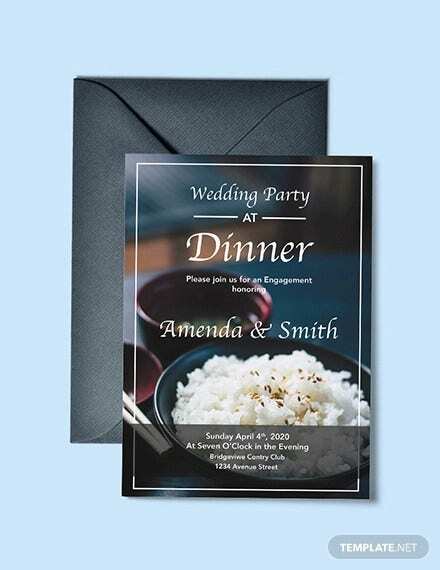 Send out your wedding party invitations in style with the help of this set of three frames wedding party invitation card. 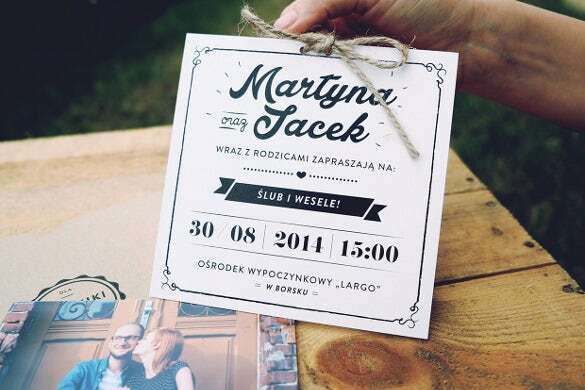 The three frames can be used to fill out various details of your wedding. 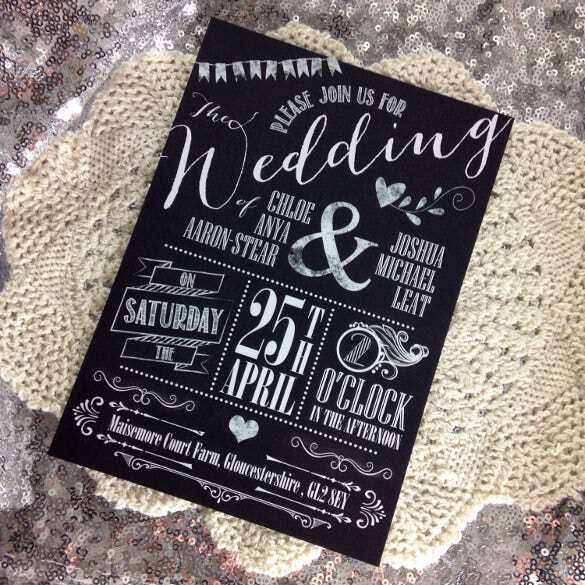 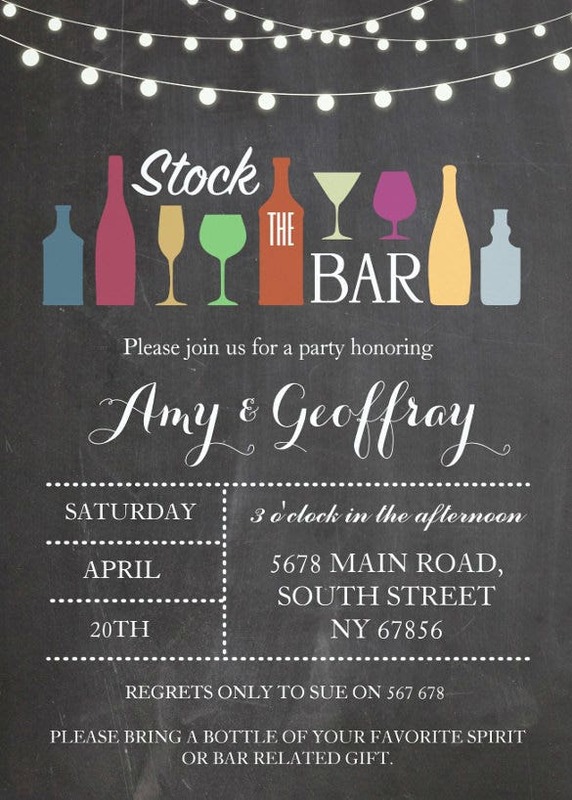 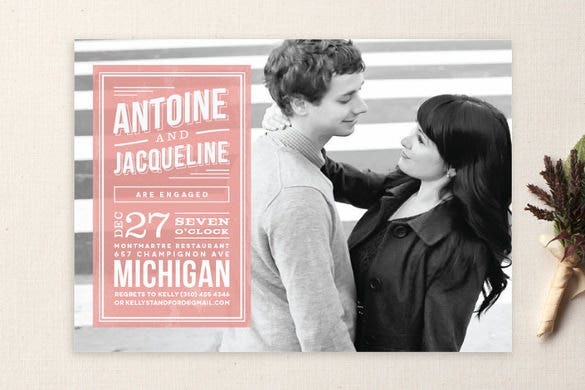 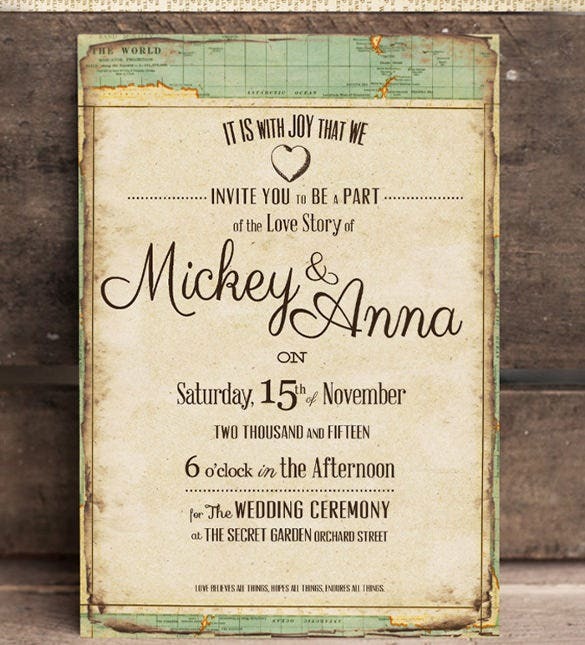 Make your wedding invitation card look stylish with the help of this rustic chalkboard wedding party invitation. 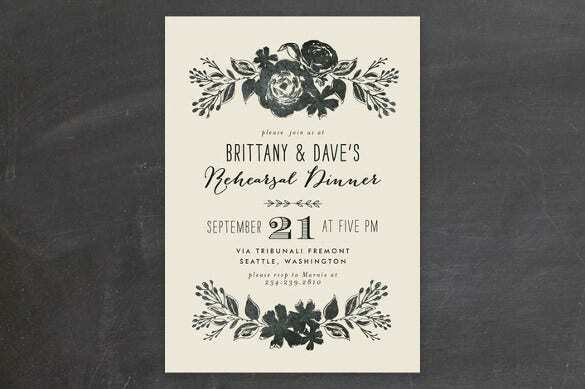 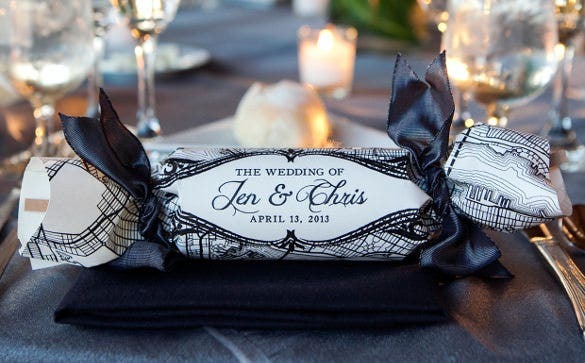 The simple black and white chalkboard format makes the invitation look super cool.